There are no prizes for correctly guessing why “Kosher Luxury Travel” has that particular company name. 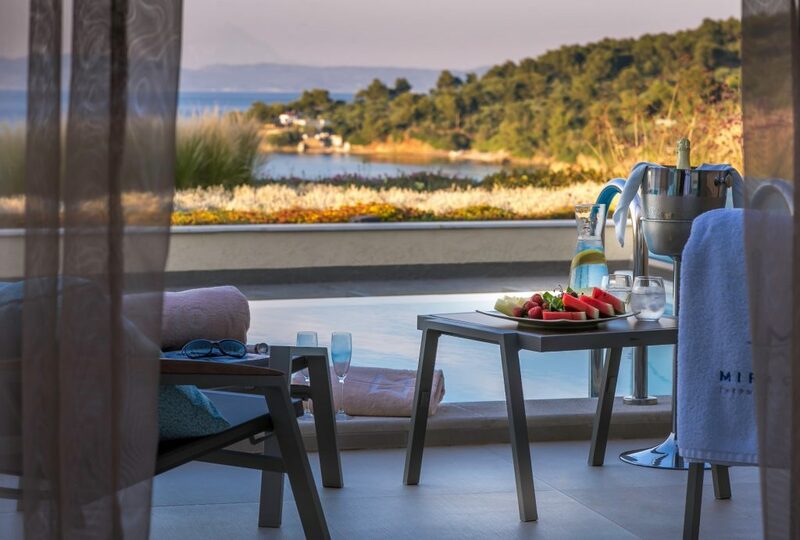 In just over two months’ time, hundreds of guests from around the world will be traveling to join KLT for the Pesach holidays at the Miraggio Thermal Spa Resort, situated on a picturesque stretch of the Greek coastline. The 5TJT interviewed CEO Menachem Cohen to find out more about him and his program. 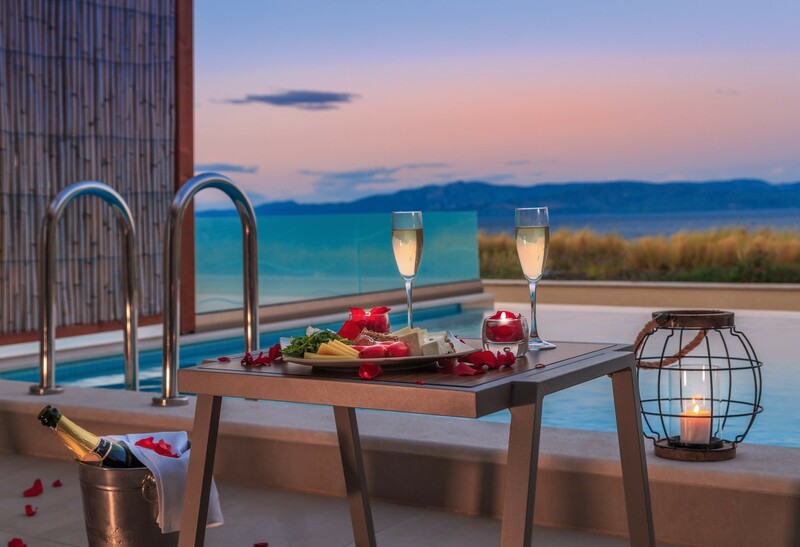 5TJT: Judging from the photos, that really is one gem of a hotel you have there on the Greek coastline of a splendid marina. How do guests travel to you? KLT: In a variety of different ways. Some come by private jet, some by helicopter, and we even had one guest sail his yacht into the hotel marina and moor it there. Others come via British Airways, Ryanair, and Easyjet to the nearest airport in Salonika (SKG). 5TJT: A program for private-jet owners that also incorporates just regular folk. How does that work? 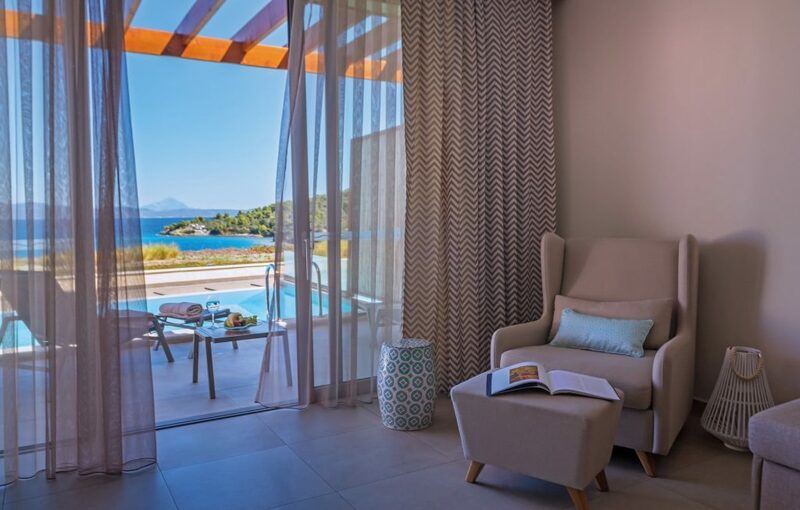 KLT: It works because the hotel is absolutely sumptuous, with pools, a spa, and a marina, and is newly built so everything feels contemporary, fresh, and very high class. Our “regular folk” are not all that regular; they are prepared to spend the extra circa 30 percent above the industry average to enjoy an exceptional package. On top of all that there is the VIP option which takes things to a whole new level and is popular with private-jet owners but also those of more prosaic means. 5TJT: Readers are probably going to be wondering what that extra 30 percent actually gets them. KLT: We have been running this and similar Pesach programs for 15 years, and what our guests keep telling us is that we offer exceptional value for the money, which is obviously not the same thing as being cheap (which we emphatically are not). So, to give you just one example of how we strive to be the best program on the market in every way possible, we have chosen as our head chef Chai Shwartz, who is the president of the Igud HaShefim HaYisraeli, the Israeli professional body of professional chefs. Other Pesach programs you read about quite rightly boast about the caliber of their chefs but at this end of the market it is the little details that count, and there is a real difference between being a very good chef and being “the most prominent chef in Israel.” Chai directs our staff of ten or so professional chefs and personally cooks for the VIPs. 5TJT: And what else does the VIP option get you? 5TJT: How would you describe your business model? KLT: It’s a model based on knowledge of our guests, who tend to prize their independence, like to spend time in a carefree, happy atmosphere, and enjoy cultural activities and the very best quality things in life. The whole offering works so well as an integrated whole because the VIP stream has the additional happy consequence of increasing the level of service we can offer across the board. KLT: We could do a whole article just on this subject alone, so I will try to be brief. The hotel itself has its own spa with various relaxing therapies. There is also a marina where all manner of water sports can be enjoyed, including water-skiing, canoeing, wind surfing, etc. The views and landscape are superlative, and just rambling along the paths is a beautiful experience. Mountain bicycles can be rented, and there are historic villages to explore in the area. The most popular destination is Selonika (Thessaloniki) with its rich two-millennia-old Jewish history and which contains to this day a large Jewish community, a Chabad house, a kosher restaurant, a synagogue, and general religious services. There is also a Jewish museum with ancient artifacts. There is more to see and do in the surrounding area of the hotel than there is actually time to do it in. 5TJT: On the subject of religious services, what does the program provide? KLT: We don’t have a single in-house rabbi; remember what I told you earlier about how we do things differently here. We have three very fascinating in-house rabbis, one of whom (Rabbi Menashe) is a mekubal who studied under HaRav Kadouri. There are shiurim on any number of subjects including daf yomi. We have two world-class chazzanim (one Ashkenazi and one Sephardi), the hechsher is under the renowned HaRav Machpud and is non-gebrochts and non-kitniyos, but our pastry chefs will ensure that you don’t notice! 5TJT: What other activities does the program provide? KLT: We have various day camps for children up to the age of thirteen and a nursery for the under-three set. In the evening, a team of in-house entertainers and singers (Haim Israel and Nemouel) will keep everyone well-entertained. A visiting professor (Professor Gilbert Guenoun) with a specialty in plastic surgery will be speaking about diet, skincare, and beauty treatments. 5TJT: I totally get why someone would want to join your program, but I’m curious, given the enormous amount of work that goes into preparing such a program, what is the attraction of this job for you? KLT: (chuckling) Oh, so you want to hear a little bit about me then … I come from a family that is very French in terms of lifestyle in that we really appreciate the good things in life, particularly where it involves good taste in cuisine, fashion, décor, etc. About 15 years ago I arranged a Pesach program just for extended family and friends. We traveled to a hotel in Tunis and had a fantastic time. It was only natural, therefore, that in the following year, everyone clamored for a repeat of the previous year and those original friends then brought along their own friends … and before I knew it, I had a real hobby on my hands that could even pay the bills! So our family holidays became a very natural prototype for the Pesach program business that was to follow. I have since branched out to producing kosher events internationally on behalf of individuals and companies and even the occasional wedding. 5TJT: If you could choose for your guests to give your program just one compliment that reflects a unique selling point, what would you pick? KLT: I see you left all the difficult questions to the end! It’s really a state of being that I look to achieve. If I get feedback of “I did it my way,” i.e., that I (the guest) found there to be sufficient options and choices to feel completely at ease, then my job is done. I want my guests to have the type of davening they are used to and enjoy, the Pesach Seder they are completely at home with, the shiurim that are meaningful to them, the activities that suit their interests, and, of course, the cuisine that they associate with the time of the year. Ultimately, the purpose of the very large variety of options on offer is not in order to dazzle but simply to ensure that everyone can find their own preferences and just be comfortable being themselves.